i have always been a good multi-tasker. when i’m on a mission i move a million miles a minute and practically run over people who aren’t moving fast enough for me. i always have multiple screens open on my computer. i was so the girl texting during class while simultaneously taking notes and chatting with someone next to me. i skype people and check my email during meetings. my brain almost never shuts off. and it works for me. but. i am a terrible multi-emotion-all-at-once-haver. yes, it’s a real thing. i cannot for the life of me figure out how to reconcile different emotions together. which, on a general day to day basis isn’t normally a problem. until disaster strikes and everything goes haywire and there are so many things happening that i don’t know what to do with myself. today is one of those days where emotions have been amplified and there are so many things going on that i am totally and completely unreconciled. i don’t understand how the lord can exist in both life and death. in celebration and in grieving. in new and old; in pain and in joy. i don’t understand how justice and redemption and restoration works in the middle of circumstances that seem so unfair. i feel a little more grown up this week as i’ve watched from a distance a dear friend lose someone she loves. i’ve coupled that with the news that my sister is in labor, about to bring forth life and give me my first niece. funny how even in bringing forth life there is still so much struggle. it’s easy to see the lord in the happy things. it’s not so easy to see him in chaos and disorder. its not easy for me to find him in the deaths and tragedies. the tension of finding a good God in the midst of terrible circumstances isn’t something i’ve figured out. at all. i find myself smack dab in the middle of asking a lot of questions. questions i’ve asked before but seem just a bit more pressing these days. questions that are, once again, forcing me to wrestle down the things i think i know and fight for the answers i don’t yet have. i’m okay with the questions and i know that the lord is big enough to handle them. he isn’t moved by my unknowing and i’ve found comfort in the freedom to ask without hesitation or fear. but as free as i am to ask them, today that isn’t offering much comfort. and asking a lot of questions from the comfort and safety of my cozy, peaceful home seems futile. today, i desperately want my friend to not be hurting. i want people’s hearts to be full, not broken. today i would like it if i could understand why some things happen or don’t happen. i wish i could be okay with the fact that life isn’t fair and believe wholeheartedly that god is still good in the middle of it. today i want to be able to do more than pray for people and hope it means something. mostly today i just need the lord to be present. not even so much with me, i just need to know he’s present with them. to know he’s present with the hurting and with the rejoicing. and that he’s at the funerals and in the delivery room. i need to know that he’s with the mourners and those rejoicing. i need him to remind me that he’s always with us in the struggle and that somehow, at the end of it all, life will come. Categories friends., struggle., the journey.•Tags compassion., growing up., hurting. she taught me how to run. i’ve been in a reflective mood lately. it’s probably all of the nostalgia of training camps and the whole ‘being home one year’ thing. maybe it has something to do with the places the lord has been taking me in my own heart lately. anyways. i’ve just been thinking a lot. thinking about how things have happened in my life, the people that have been around, what god has done. last week i got to see some dear friends in atlanta, which got me reflecting on these friends and what they’ve meant in my life. i met coach lacy when i was twelve years old. i walked into kennedy middle school the “new girl.” i was scared, shy and all kinds of awkward. over the next few years i had a few classes with her. she taught my aerobics class, my multi-media classes and coached volleyball. volleyball was definitely not for me. but i think maybe my knack for media started in her class. i remember how in our aerobics class we’d take friday’s off to have “girl talk.” we could write down secret questions and she’d answer them. she shared parts of her life with a room-ful of girls in hopes that we might learn something about ourselves and about life. apparently i did. she was the teacher everyone wanted to have and the kind of person everyone wanted to be. eventually i hit the milestone of eighth-grade graduation and moved up to high school. she coached track there, so it was then that our relationship really began to blossom. i started babysitting for her girls; kelsey was just six or seven and bailey was still in a crib. at first i’d just spend a friday or saturday night hanging out with the girls, watching bring it on and having killer dance parties. somehow, though, as time went on i found myself with them more and more. by my sophomore year i was spending afternoons and evenings in the lacy home multiple times a week. i ate dinner with them and attended family functions. i found myself immersed into their lives and into their family. looking back, i can recognize that i was so drawn to them because it was the only place i really felt safe. in so many ways it was the only refuge i had from the mess at home and my chaotic, dramatic, ever-changing teenage life. coach lacy taught me how to run. she always challenged me to do better and to be better. running away was never an option. making excuses was never an option. at an early age, out of necessity, she taught me to run straight into whatever life was throwing at me and to make a decision on what i was going to do with it. she expected great things from me. but she was always proud of me. and she never hesitated to express it. i remember the first time i ran a sub-six mile. she ran back and forth my whole race, spurring me on. when i crossed the finish line she was there, crying with arms open. she saw good in me when i was blind to it. she loved me well. she threw me a surprise birthday party when i turned sixteen. she braided my hair for track meets and sat with me on bus rides. she often cooked me my favorite meal [grilled salmon and cheesy green beans for anyone out there wanting to get on my good side]. she hugged me. she got me out of class to have mid-day snack breaks. she stayed up late with me and taught me about life as we ate nachos and watched golden girls. we ate ice cream for dinner and went to tcby almost every week for waffle cone wednesday. she drove across town to pick me up when i called in the middle of the night and she was there when i felt like my life was literally crumbling around me. when i moved across the state at the beginning of my junior year she kept in touch. the emails and the phone calls still came. she never forgot about me. she drove through a snow-storm to watch me be on homecoming court my senior year. and she drove back to watch me graduate. she has been every example of friendship, sacrifice, and hospitality that i could ever hope to display. as the years pass by, coach lacy and her family will continue have a special place in my heart. we’ve laughed too many laughs and cried too many tears for it to ever go away. i have always loved and appreciated the role she’s played in my life. it was never something i took for granted. but in the past week or so i have just been so overwhelmed by what her presence in my life really meant. i absolutely believe i am who i am today in large part because she took a chance on me. she loved me and took care of me when no one else would [or could]. she helped me move, in some ways, from being a kid stuck in sucky circumstances into being a capable woman, the world at my fingertips. Categories friends., inspiration., people who changed my life., the journey.•Tags friends., grateful., growing up., mentors. embedded residue. i’ve been home one year. well. it’s official. i can no longer start a sentence with “last year on the world race…” i’ve been on american soil for three hundred and sixty five days. [minus the week-long stint in ireland last fall]. whoa. deep breath. i landed in lax sometime in the afternoon a year ago. the lady looked at my passport and said “you’ve been gone for quite some time. welcome home.” to which i offered a fake smile as i fought back tears. then i stood in customs for three hours before finally walking out into american civilization. i spent the evening with my world race bff’s before hopping on a red-eye back to missouri. i walked off of a plane in springfield and hugged my family. we drove home. the first thing i did was try on an old pair of jeans to make sure they still fit. then i took a nap. we ate lasagna for dinner. and normal life just kind of began again. countless times over the last year when i have thought back to my time on the world race i’ve felt like it was nothing more than a dream. a crazy adventure that just kind of happened but it wasn’t real. except that it was real. so real, in fact, that the residue is still on me. not the africa dirt and asia smell. but the residue of the things i saw. the prayers i prayed and people i met. the residue of feelings i felt and dreams i dared to dream. it’s still on me, the glory of it all. in fact, it’s just being embedded deeper and deeper into who i am. i spent three weeks at home. mostly i tried to catch up with the friends and family i had missed for eleven months. i ate a lot of food and drank a lot of coffee. i packed up my life and drove to georgia, where i’ve spent the last eleven months on a brand new adventure and at the same time discovering a new kind of normal. my first few months in georgia were mostly spent in tears. i cried because i was lonely. i cried because i missed being on the field. i missed holding babies and praying for sick people. i cried because i had no plan. i cried because i had absolutely no idea how to do my job. sometimes i cried because it was the only thing i knew to do in the midst of trying to process and re-enter to so many things. but, over the months, slowly but surely the tears have become fewer and farther between. i promise. ask allison. i’ve become somewhat settled. in gainesville, yes. but mostly in my spirit. i’ve got a bit of handle on why i’m here. i’m not so lonely anymore. and i’ve figured some things out about my job. i feel like i’ve processed the things i’ve seen; even though i still miss the african babies. i guess i don’t really have a plan. but i don’t feel like i really need one right now, so that’s refreshing. anyways. a lot has happened in the last year. a lot of good things and a lot of hard things. some broken places have been exposed and some other broken places have been healed. i’m more whole than i was a year ago. i’m more confident and hopeful than i was a year ago. i’m definitely more free than i was year ago. and i am so much more thankful thank i was a year ago. i’m thankful for the journey of the world race. i’m thankful for the journey the last eleven months in georgia have been. as thankful as i am for the past, i want to be the kind of person who looks ahead to the future with hope and great expectation. there’s really no telling what’s in store for the next three hundred and sixty five days. but my prayer is that the residue of my past journeys would become more deeply embedded as i set my eyes and heart towards the journey ahead. with that. enjoy the video i made of our world race journey. Categories being settled., on being a missionary., the journey., transitions, Uncategorized, videos.•Tags content., friends., growing up., journey, missionary., normal life., settledness., transitions., videos. we put this little video together for real life campaign we’re running. i promise it’s well worth your two minutes. take a gander and then read what i’d say to my college self. i know it hasn’t really been that long since you were wandering the sidewalks of good ‘ol evangel, but a lot of things have changed. things are pretty different over here. and you. well, you’re real different over here. don’t worry so much about the future. it’ll work itself out. taking that first mission trip to jamaica will affect you forever. what you experience there will catapult you into a destiny you couldn’t dream of on your own. friendship takes work. especially when you’re on different continents. learn to fight for relationships now. you had a lot of opportunities in four years. and you took most of them. way to go, champ. forgive more. have more grace. especially with yourself. because you’ll spend a lot of time after college learning how to receive grace. real grace. the messy, scary kind that you’ve never really known before. it will be new territory for you. but you’ll learn that those people really do love you. and that jesus, he really loves you, too. take more risks. it’s okay that you didn’t graduate with a 4.0. i promise no one will ever care. don’t try so hard to be perfect. learn how to fail and embrace your imperfections. chopping your hair off was a brilliant idea. and dying it brown on a whim after that, ehem, one situation, was a good move. way to be bold. dear college me, you’ll travel the world. really. you will circumnavigate the whole thing over the course of eleven months. i know everyone is telling you it’s absurd to live out of a backpack for a year and that you’re not exactly the world-traveler-roughin’-it-missionary type. don’t listen to them. you’ll do just fine as a world racer, i promise. in fact, despite all of the hard stuff you’ll walk through in those eleven months there will be something beautiful about the whole thing. something that will deeply attract you to a tribe of people in gainesville, georgia. so when you return to the states you’ll pack up your life and move south. you’ll raise your own salary to be in charge of marketing mission trips to high school and college students. you’ll spend a few months freaking out about the whole ‘being back in america’ thing. and it might take you a minute to find your place but you’ll discover that you love it down in georgia. the whole “marketing-for-jesus-behind-a-desk-among-a-group-of people-you-love” bit fits you nicely. you’re more thankful than you could have ever imagined. dear college me, i want you to know that things are good over here. you’re good over here. there’s still work to do, but your more whole, more alive, and more happy than you could have dreamed. your life is abundant and your heart is full. so, what would you say to your college self? Categories letters., on being a missionary., real life., the journey.•Tags content., dear college me., growing up., missionary., real life., videos. remember a few months ago when i made a list of twenty four things i want to do in my twenty fourth year of life? you’d think by now i’d have a few of those things accomplished. buuuuuuuuut. well. follow-through has never really been my strong suit. however, i did knock out one last night.
. buy and wear nice pajamas. twenty four years it took me to get out of my basketball shorts and gross t-shirts. i cannot believe i waited so long. here’s to new pajamas. and growing up. Categories goals.•Tags growing up., normal life. well, it’s that time again. twenty four-years ago i came into the world on easter sunday. last year i found myself in thailand getting tatted. and this year. well, this year i’m sitting at my desk in gainesville, georgia. i’m sending emails and making powerpoints. i’m getting birthday hugs and looking forward to dinner out with friends tonight. i’m blessed. really, really blessed. i decided to make a list of twenty four things i want to do in my twenty fourth year. i was working on it last night and kept getting stuck. so i did what anyone would do. i googled. i googled all the things i should do in my twenties, 101 things to do before you die. normal google-ing things. i found a few good ideas. but for the most part i just realized how much i really have done in my life. like, i’ve had some incredible and amazing opportunities. and i was browsing the world wide web last night, clicking from link to link to link i was overwhelmed with how very thankful i really am. anyways. i came up with some things i’d still like to do in my twenty-fourth year.
. make an adult purchase. i’ve decided i want a hope chest.
. learn to make sushi and order good wine.
. leave the country. at least once.
. spend a weekend in isolation. with jesus.
. read poetry. write poetry. let people read my poetry.
. get my etsy shop up and running. and sell at least ten things on it.
. memorize all of romans chapter eight.
. become an excellent coupon-er.
. learn basic phrases in greek. you know, for when i go back.
. pick five recipes and learn to cook them from memory.
. play in the rain.
. lead someone to jesus in america.
. send more random, just-because-i-love-you mail to my supporters, friends, and family.
. visit a new state for the weekend.
. take a dance class.
. deliver a prophetic word to a group of people. a small group of people.
. document the things i’m thankful for. send lots of thank you notes. so. those are my things. whatdayathink? i’ll let you know if i get it or not. Categories goals., the journey.•Tags growing up., journey, normal life., transitions. so. i’ve been on overload for the last few weeks. i mean, filled-to-the-brim-everything-is-so-crazy-all-i-want-to-do-is-sleep o.ver.load. ever since going to new york life has been pretty much going non-stop. family stuff. relationship stuff. work stuff. jesus stuff. it’s just been a lot. and i’ve been over-capacity, in desperate need of alone time. quiet time. time to be still. so today, i’m home. and it feels oh, so good. i’m working on some things, doing some laundry and unpacking from said trip to new york. i’m working on emails and and addressing my latest newsletter. just wrapping up the week, really. i traipsed upstairs in my yoga pants to have coffee with allison this afternoon. she’s always real refreshing for me. she asks me the questions i don’t always want to answer but that make me think on things and draw out new, deeper parts of me. she seeks to understand and loves me in the midst of my stuff. i hope i’m a little bit like her when i grow up. except for the part where she hates bacon. i love bacon and would like to eat it forever. thankyouverymuch. speaking of eating, i need to do that. i haven’t had anything but coffee yet today. oops. but maybe i should have some more coffee? it’s a good, dreary day for lots of coffee. because i just love coffee. we all know this. but i also love the idea of coffee. because in some weird, twisted way, it’s a cool, trendy thing to drink coffee. like it offers some kind of status in some universe that’s not real but is real. right? but then i have moments where i don’t want to talk about how much i love coffee because everyone talks about how much they love coffee. i don’t want to be another coffee-drinking, toms-wearing, jesus-loving gal who is so desperately trying to be different that she actually ends up fitting into some kind of mold. there’s something in me that needs to be different. but everyone wants to be different so we end up all being the same kind of different. you know? hm. that all kind of came from nowhere. maybe it’s also a good day for contemplation. on that note, i guess i’ll go have some coffee. and maybe some bacon. Categories streams., the journey.•Tags content., friends., growing up., missionary., normal life. mommy, wow. i’m a big girl now. i was inspired to write a blog this morning when my friend and co-worker sara’s latest popped up in my google reader this morning. i’m leaving in less than nineteen hours to head out to nyc for a business trip. business trip. that sounds professional and grown up. but, don’t worry. we’re still on business for jesus. and so we’ll be youth-groupin’ it in our 15 passenger van and sleeping on a church floor. some things just might not ever change. i’m gearing up for the 16-hour drive. well, i’m trying to. note to self : buy dramamine. for everyone’s sake. i have a lot to do before we pull out at 5 am.
. work. there are all kinds of fun things happening in real life. but i need to make sure they are all under control before i peace out for six days.
. pack. oops. probably should have done that. we’ve all been instructed to pack our “trendy” clothes. so we can blend in i guess. maybe i’ve had to go shopping for a few things. and i’m still not convinced i’m new york ready.
. celebrate the birth of k.chad. i’m gonna miss her birthday, so we’re going taking her out to celebrate. sure to be a good time. happy one, kel!
. charge iPod. 16 hours in a van. ’nuff said.
. pay rent. and bills. well, i’m new york city bound. should be a good time. er, i mean. an educational and very professional time. for jesus. on a church floor. in trendy clothes. oh gosh. Categories on being a missionary., real life., travel.•Tags growing up., missionary., real life., travel., work. growing up i used to always dress up in my mom’s clothes. i’d wear her t-shirts as night gowns and her night gowns as if i was getting ready to make some grand entrance into a fancy ball. the shoes were too big, the belts never had enough holes, and pants weren’t even an option because you couldn’t get them to stay up. not like a giggle. but like a deep, from the belly, “this is the most ridiculous thing i’ve ever seen” laugh. i feel like all little kids probably go through this same cycle. you adorn yourself in clothes that you believe will make you look like an adult. and then you go to check yourself out and you have no other choice but to you laugh at yourself. because the outfit is just absurd. 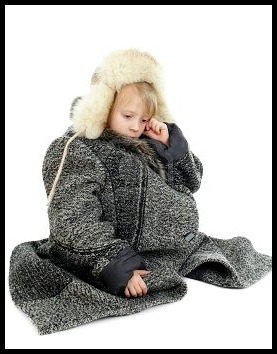 even children instinctively know that the clothes is too big and they shouldn’t be wearing it. it doesn’t make sense. it just doesn’t fit. and, well. that’s where i feel like i’m at. because i’ve been putting on some bigger coats lately. and it’s good and exciting and it makes me feel a little bit more like a grown up. but at the same time, it makes me laugh when i stand in front of the mirror. because the coats don’t fit. they don’t fit at all. they’re gigantic. and it doesn’t make any sense why i should be wearing it. i can feel the weight of the strong cloth resting on my body. the coat’s so big it almost swallows me. it’s heavy and fun and new and scary and exciting. and overwhelming. i’m overwhelmed in lots of different ways these days. overwhelmed with gratitude for the chance to put on a new coat. overwhelmed with curiosity as to how this whole transition is actually going to play out. overwhelmed with insecurity and restlessness. because as much as i really want to, i’m just not fully confident in my abilities to rock the new choice in wardrobe. i’ve been overwhelmed with excitement and hope for what’s on the horizon. and at the same time overwhelmed at the thought of all of the hopelessness thats operating in the world right now. i’ve been overwhelmed with thinking too far ahead. but also overwhelmed by grace to just enjoy right now. so. yep. that’s about it. no big resolve this time around. i’m just wearing some coats that are way too big. i’m sure i’ll grow into them in time. and then as soon as i grow into one it will be time for a costume change and i’ll get another. and then i’ll stand in front of the mirror and laugh at the ridiculousness of the whole thing. my hope, i guess, is that someday the coats i’m putting on now won’t feel so overwhelmingly awkward and heavy. but that they will be coats that just kind of rest on me softly. coats that fit to my form and my stature. coats that i can in fact rock. coats that makes sense on me. coats that fit well. because even though it took me a lot of growing in to, they look good. they look damn good. Categories the journey., transitions•Tags bigger coats., growing up., journey, transitions., work.